GMAC, the brilliant folks who create the GMAT, have decided to shorten the length of the GMAT exam. 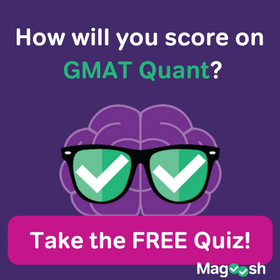 Starting on April 16, 2018, there will be six fewer Quant questions and five fewer Verbal questions on the GMAT. (Clearly, they’ve decided that “less is more”!) Here’s our summary of what’s changing and how it affects you, but you can also read GMAC’s FAQ on the most recent changes. For several years and up until this writing, the GMAT Quant section has had 37 questions and has taken a full 75 minutes. Starting April 16th, the Quant section will have 31 questions and will take 62 minutes. Similarly, in recent memory, the GMAT Verbal section has had 41 questions and has taken a full 75 minutes. Starting April 16th, the Verbal section will have 36 questions and will take 65 minutes. Notice that the combined effect of these changes is to shave 23 minutes off the total exam time. These changes, while a breath of fresh air, do not really indicate any changes in how you should study or prepare. 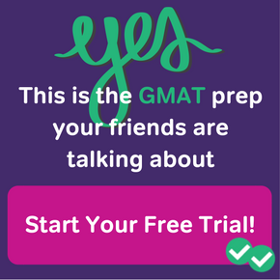 One change, though, that you definitely should take to heart: GMAT has made the pre-exam “tutorial” available online. You can watch it any time. Definitely, definitely watch that at least once when you are calm and relaxed at home. Do NOT put off watching that video until you are stressed out, sitting in the test center, ready to take your GMAT. Get it out of the way early, so you can keep your focus on test day. The total GMAT score will not change. In fact, as noted above, nothing about how you should study or prepare really changes. You see, GMAT’s CAT algorithm is so good that they really don’t need 37 Quant and 41 Verbal questions to assess you. After April 16, the GMAT score will still have the same scale, and all the statistical indicators of the GMAT will remain unchanged. In other words, any particular GMAT score will still mean the same thing. The AWA and IR sections will not change at all. The allowed optional breaks will not change at all. If you choose to get the Enhanced Score Report, there will be no major changes to that. Yes, GMAC will have to update the number of questions, but other than this, there will be no meaningful changes to the ESR. What do these changes on the GMAT mean for me? Should you change your test date in response to this news? I would recommend that you be cautious and circumspect about changing anything. If your test day is April 16, 2018 or later, then you have absolutely nothing to gain by moving it earlier. By doing so, you would make your life more difficult while gaining not one iota of an advantage. Bad move. If your test date is before April 16, 2018, then consider your situation. If you already have been following a study plan and you feel confident about your schedule, don’t upset the apple cart simply for the sake of saving 23 minutes. If, on the other hand, you feel your studies would benefit significantly from a few more weeks of preparation and you feel you have a legitimate reason to delay your GMAT anyway, then move it back. Of course, another thing that doesn’t change is that high quality GMAT preparation can help you improve your score significantly. That’s precisely how Magoosh can help you! 2 Responses to The GMAT Gets Shorter! I’m currently following your Advanced Study plan which has a few full-length MCATs from Manhattan Prep. Assuming that this change in the GMAT length is not reflected in the MCAT, would you recommend any change in the plan? As you can see in our 3 month advanced GMAT study plan, the plan is quite flexible in terms of how many practice tests you take. If the MGMAT tests you have access to aren’t up to date, then you will want to make sure that you also take some official GMATPrep tests; the paid ones reflect the new format, while the two free tests don’t. 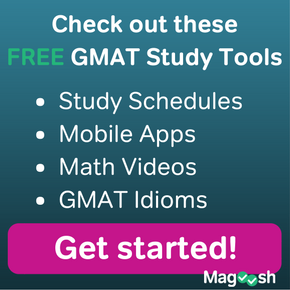 Or you’ll want to make sure you take some Magoosh practice GMAT tests, since our mock GMATs are fully up-to-date. 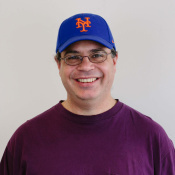 As for whether or not Manahattan tests are current to the new format of the GMAT, I recommend asking Manhattan customer service about that, or posting a question about that in the Manhattan GMAT Prep forum. Knowing what up-to-date mock tests are available can help you plan out the resources you’ll use in your study schedule.